Imagine a world where you can eat chocolate for breakfast and not get a sugar crash afterwards. This world exists. Meet your new favorite breakfast. 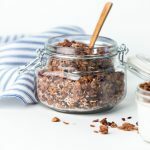 While this breakfast packs in deep chocolate flavor, it also manages to deliver satisfying fiber and minimal added sugar. So you really can have your chocolate breakfast and eat it, too. Pair it with plain Greek yogurt or milk (cow or soy) to add protein for a complete meal. Or just nosh a serving as a snack, as is. 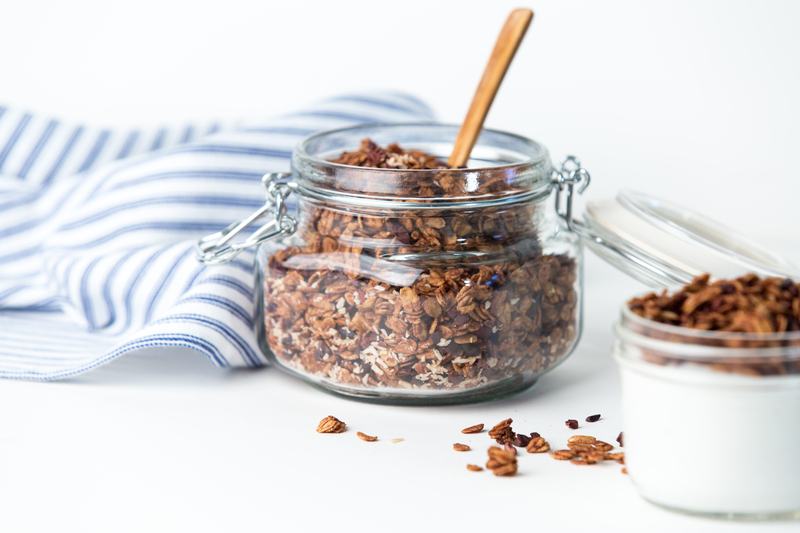 This mildly sweet granola will quell your chocolate cravings while nourishing your body with fiber and healthy fats. Use it atop yogurt, with a little milk, or grab a handful plain. Preheat the oven to 275°F. Coat a baking sheet with cooking spray, or lightly rub with oil. ​In a medium bowl, stir the oats, cinnamon, and cocoa powder. In a small bowl, whisk the coconut oil, maple syrup, and vanilla. Pour the liquid ingredients over the oat mixture and stir until fully coated. ​Spread the mixture out in a single layer on the baking sheet and bake until it begins to get crispy, about 30 minutes. Remove from the oven and stir in the cacao nibs and coconut. Spread out again in a single layer and bake until crisp all the way through, about another 10 minutes. Allow to cool fully before serving.